Experience San Antonio from our Hampton Inn - Suites San Antonio Brooks City Base just minutes from downtown San Antonio the River Walk and Six Flags Fiesta Texas. Less than 30 minutes from San Antonio International Airport our location makes it easy to get around the city. Start your day with free hot breakfast served daily from 6 am 10 am. Get work done in your room with free WiFi at the large workstation with ergonomic chair or in the business center open 24-hours. 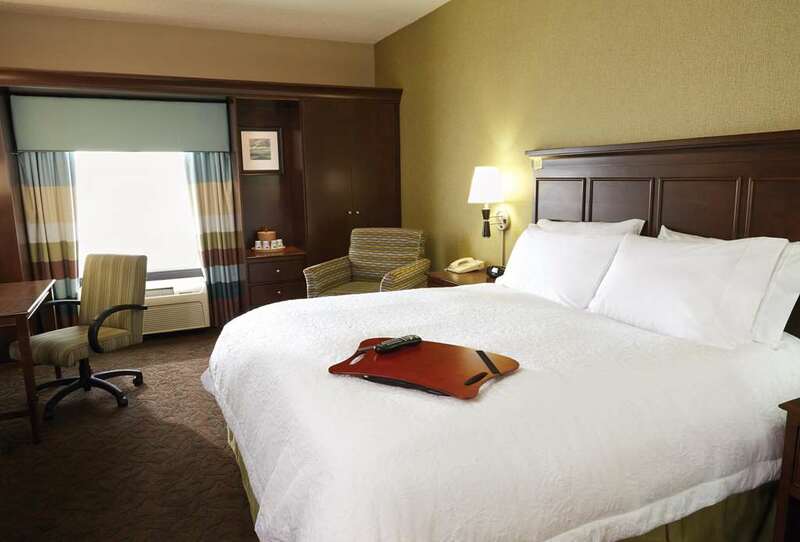 Choose a room or suite with one king- or two queen-sized beds. Maintain your workout routine in our fitness center. Soak in the warm Texas sun at our year-round outdoor pool and whirlpool. Plan your next San Antonio event in our flexible meeting rooms full of natural light. This space accommodates up to 50 people ideal for training luncheons and small receptions. Your guests will appreciate our proximity to area attractions and dining options.